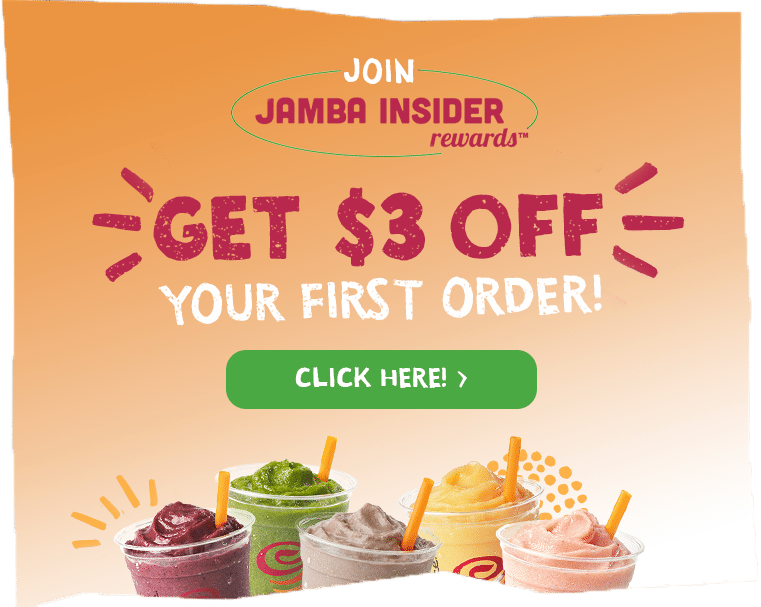 Two Fun Ways to Raise Funds with Jamba! Let Jamba Juice Hawaii blend some fun into your fundraising efforts! We offer two easy ways to raise money for your group—simply pick the option that fits your needs best and fill out the online application to get going. Events are more exciting when Jamba makes an appearance! Open to any type of organization, Jamba Event Fundraising is a simple method for raising money perfect for groups large and small. Just tell us the date and number of participants you expect, and we’ll show up with tasty, refreshing smoothies to sell to your crew. When the event is pau, we hand you cash for 20% of the total. Now that’s easy money! Give your fundraising a boost with healthy and delicious Jamba Smoothies! 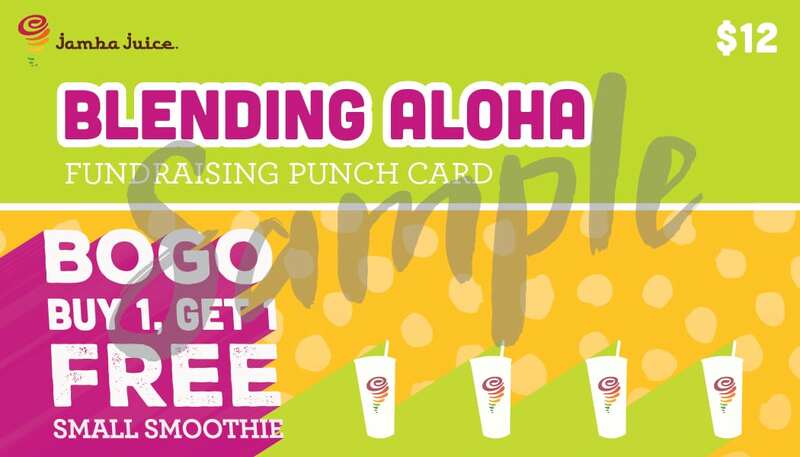 Jamba BOGO Cards are the perfect way to let everyone in your nonprofit organization have a hand in keeping the funds flowing. Purchase cards for just $8 each, and then test your sales savvy as you hook up your network with BOGO Card deals. For every Jamba BOGO Card sold at $12, your group receives a $4 profit. Simply brilliant! Share Jamba BOGO Cards with family and friends for fast, easy funds! Jamba takes care of everything so you can relax and enjoy your event! Just contact us at least two weeks before the big day. Request your favorite smoothie flavors and let us know how many you need, then get the word out that Jamba will be joining. 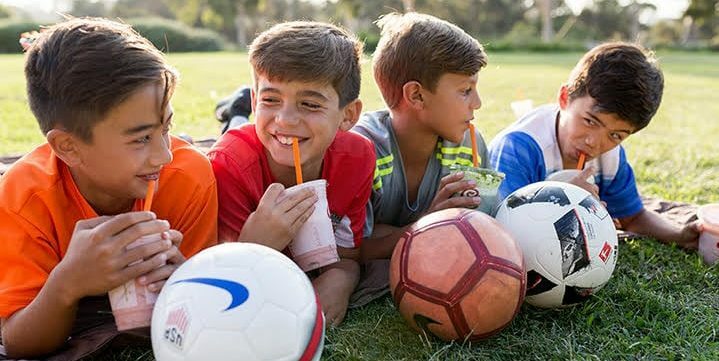 The Jamba team will set up and sell 16-ounce smoothies for $5*—and at the end of the day, your group receives 20% of the total, paid on the spot! For more info, call (808) 445-8646 or email events@jambahawaii.com. Choose the Jamba BOGO Card for an effortless way to grow your group’s piggy bank! Open only to certified nonprofits, Jamba BOGO Card Fundraising works with a simple sales concept: Your organization purchases 50 or more BOGO cards* at $8 each, then members of your group sell the BOGO cards for $12 each—yielding a $4 profit per card! For more info, call (808) 777-4218 or email fundraising@jambahawaii.com.